The Rocky Horror Picture Show quickly became a pop cultural phenomenon passed down from generation to generation. Now, after four decades, it’s back stronger than ever with an all-new Ultimate Collector’s Edition, featuring limited edition packaging, exclusive collectible pink surgical gloves, fishnet stockings and a soundtrack for its army of die-hard fans! It's been 40 years since Tim Curry rocked our socks off in the classic movie The Rocky Horror Picture Show. I remember watching this movie at least once a year when I was growing up. I absolutely loved everything about this movie from the beginning to end. The songs were catchy and Time Warp was one of my all time favorite songs. The 40th Anniversary Celebration Blu-ray highlights everything we loved about this classic movie and more. With bonus features that include past celebrations, deleted musical scenes and alternate endings and even Rocky-oke: Sing It! Although my hubby refused to sing, I got to sing all of the songs I loved from the movie and enjoyed every bit of it. There's so many other bonus features included and makes this blu-ray a must to have in your movie collection. 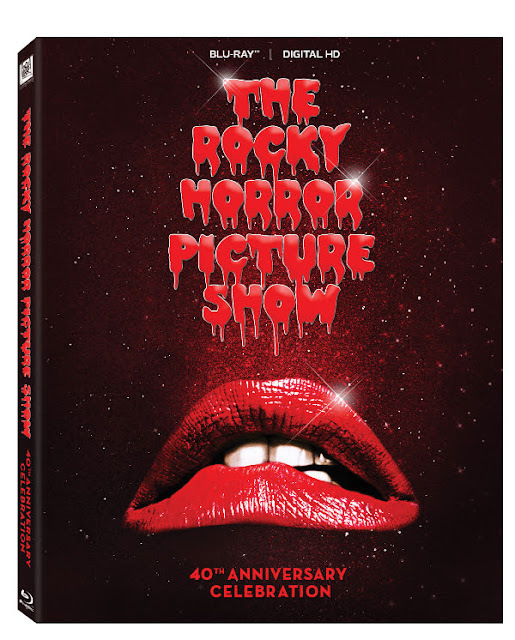 The Rocky Horror Picture Show's 40th Anniversary Celebration on Blu-ray is now available. Be sure to grab this before it's too late. Disclosure: All opinions are my own. I received The Rocky Horror Picture Show on Blu-ray at no cost for the purpose of this review. No other compensation was received.